Duke brought in the No. 1, No. 2 and No. 5 overall freshmen in the country this year, according to the 247Sports composite. Those players are, in order, G RJ Barrett, F Cam Reddish and F Zion Williamson. For good measure, the Blue Devils also landed the No. 15 player in the country, G Tre Jones. 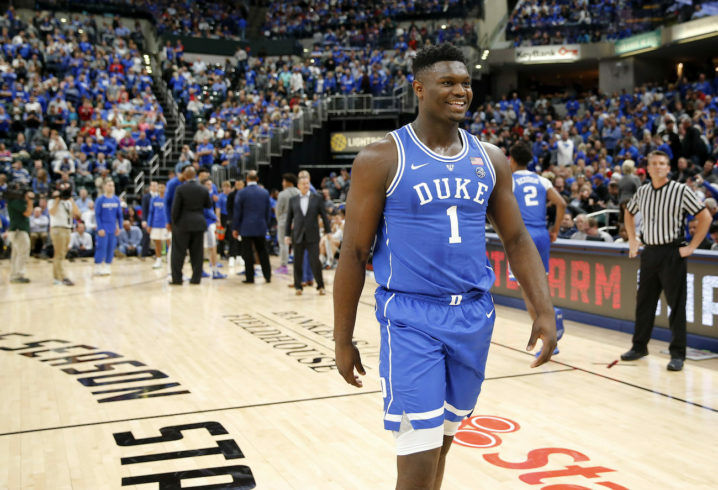 Many thought it would take the Blue Devils a couple of weeks to get their lineup sorted out and get the talented freshmen up to speed at the college level. That, uh, was not the case on Tuesday night, as No. 4 Duke absolutely blasted No. 2 Kentucky at the State Farm Champions Classic in Indianapolis. The Blue Devils led by 17 at halftime and had 91 points when there were still 11 minutes left in the second half. It should come as no surprise that they held on for a lopsided 118-84 victory — the most lopsided defeat Kentucky has ever suffered under coach John Calipari. Barrett finished his collegiate debut with an incredible 33 points, adding six assists and four rebounds. The star of the game may have been Williamson, though, who scored 28 points and snagged seven boards. Kentucky did some nice things, but the Wildcats were no match for Duke from the opening whistle. 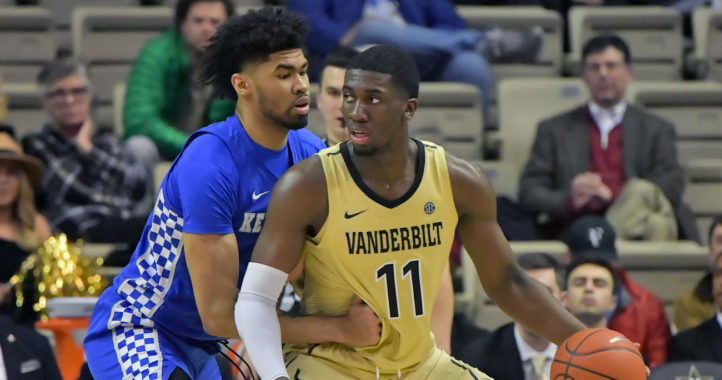 Calipari’s squad got some nice contributions from freshmen, too, with Keldon Johnson scoring 23 points, Tyler Herro reaching double figures and EJ Montgomery giving them some nice minutes off the bench, but it wasn’t nearly enough to stop the Blue Devils. Perhaps the biggest positive for Kentucky was the fact that Stanford graduate transfer Reid Travis looks to be as advertised. He had a nice debut for the ‘Cats with 22 points and seven rebounds in the losing effort. This loss will sting, but the Wildcats still have plenty of time to shape themselves into the team they want to be come March. Kentucky has an easy rest of the month before a surprisingly challenging December slate. If Duke plays like it did on Tuesday, the Blue Devils will beat anyone in the country. However, the Wildcats still played well enough to beat most teams on most nights, so it’ll be interesting to see what buttons Coach Cal pushes moving forward. That pass was an absolute laser. 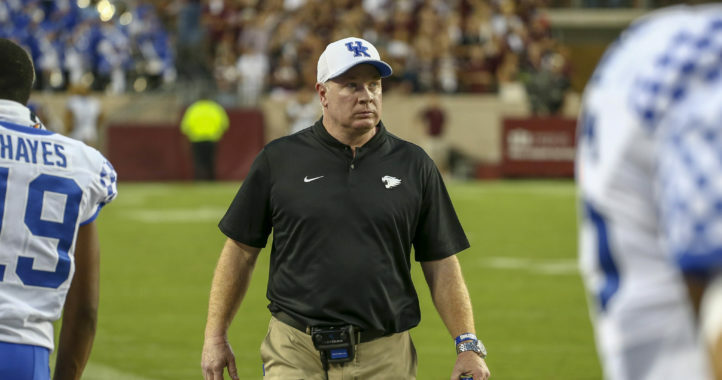 Looks like Kentucky is becoming a football school.